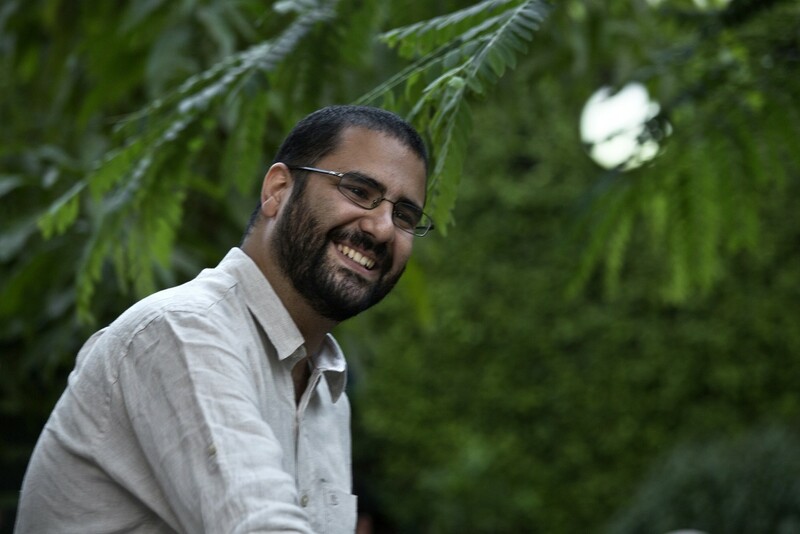 Alaa Abd El Fattah, photo by Nariman El-Mofty. After spending five years in prison, the Egyptian blogger and activist Alaa Abd El Fattah is scheduled to be released from prison on March 17, 2019. On December 8, his family launched a campaign  — “100 days for Alaa” — to ensure his prison term ends on time. The March release date does not mark the end of Alaa's time served, but rather a transition to the final phase of his sentence. After his release, Alaa will be made to spend every night in his local police station for an additional five years. He will be under police surveillance throughout this period. Alaa was arrested and taken from his family’s home in November 2013. More than one year later, in February 2015, he was finally tried and sentenced  to five years in prison for “organising” a protest under a 2013 protest law  that prohibits unauthorised demonstrations. While he did take part in a protest against military trials for civilians on 26 November 2013, Alaa had no role  in organising it. His sentence was confirmed by Egypt’s Court of Cassation in November 2017. Alaa has been jailed or investigated under every Egyptian head of state who has served during his lifetime. In 2006, he was arrested  for taking part in a peaceful protest. In 2011, he spent two months in prison , missing the birth of his first child, Khaled. In 2013, he was arrested  and detained for 115 days without trial. Alaa has long worked on technology and political activism projects with his wife, Manal Hassan. He comes from a family of prominent human rights advocates, including human rights lawyer Ahmed Seif El Islam , Alaa's father, who was jailed multiple times under the regime of Hosni Mubarak. Abd El Fattah’s sisters, Mona and Sanaa Seif, are also human rights defenders who have long campaigned against the military trials of civilians in the country. In 2016, Sanaa served  a six-month jail sentence for insulting a public official. Alaa's ordeal is similar to many other Egyptians who are behind bars because of their activism. There are as many as 60,000 political prisoners  in Egypt, human rights groups say. Those arrested on politically-motivated charges in Egypt are often subjected  to enforced disappearances, torture, prolonged pre-trial detention and solitary confinement .